On February 1st, the Trump administration formally withdrew the United States from the Intermediate-Range Nuclear Forces (INF) Treaty. The next day, Putin pulled Russia out of the INF Treaty as well, inflaming apparent tensions between the two countries and leading to a compelling popular narrative that the end of the agreement signaled the start of a new cold war between Russia and the United States. Looking more broadly, however, the United States’ withdrawal from the INF Treaty could signal the opposite – that, while Russia continues to perceive a Western threat to its homeland, the United States has pivoted to more pressing strategic ambitions in East Asia that it believes were stifled by the agreement. It’s important first to talk about what strategic incentives existed for either side to withdraw from the treaty. Secretary of State Mike Pompeo claims that Russian infractions of the INF treaty prompted America’s withdrawal, and that “we can no longer be restricted by the treaty while Russia shamelessly violates it.” Though reports of Russian compliance with the deal continue to be understandably light on details, every State Department report on the subject since 2015 has concluded that Russia had been developing an intermediate-range GLCM – much like the ones it announced it would begin to produce – since at least that year. Russia’s missile development is nothing new, but a return to its classic pre-INF deterrence strategy of escalation de-escalation. Escalation de-escalation addresses a critical weakness of any deterrent – its credibility. In order for anybody to take Russia’s nuclear deterrent seriously, Russia has to be able to demonstrate a willingness to rapidly escalate a conflict into a nuclear one. This requires building smaller-scale, lower-yield, and lower-range tactical nuclear weapons of the sort it’s begun constructing with the termination of the INF, and amending its military doctrine to reflect that a) those weapons are suitable for use in conflict and b) that Russia reserves the right to use those weapons absent nuclear provocation, in response to either large-scale use of conventional arms against them or even in preemptive strikes. Because the costs of using a Tsar Bomba would be enormous and would likely guarantee Russia’s instant incineration, if Russia wants a credible deterrent, it needs to develop nuclear weapons people really believe it would use – the sorts of weapons the INF treaty barred, and the sort it’s openly building now. It’d be intuitive to surmise that if America and Russia are developing the same sorts of nukes for the same sorts of battles, they’re developing them to be deployed in the same battle, one against the other. However, despite the Trump administration’s suggestion that new proliferation is meant to counter Russian violations of the INF, its underlying goals are clear – that these nukes are to be deployed to counter China, not the oft-mentioned Russian GLCMs that the United States cited as the cause for its withdrawal. There are a few reasons to believe, despite the open posturing of the administration that this is an anti-Russian move, that it is an anti-Chinese one instead. First, while Russia and the United States were both signed to the INF, China has been busy. Just this January, China tested new intermediate-range DF-26 GLCMs and over a hundred launchpads for them, putting New Delhi and Guam in range. In fact, the vast majority of the nuclear arsenal China has been developing while the United States and Russia were INF signatories – up to 95% of it – is in the short to medium range, estimates the chief of United States Pacific Command. This puts several strategic allies of the United States, including South Korea, Taiwan, and Japan, well within the range of Chinese tactical medium-range missiles deployed as deep as central China. Like Russia and escalation de-escalation, China has a more aggressive, but still defensive nuclear doctrine – anti-access/area denial (or A2/AD) – though A2/AD also requires the deployment of intermediate-range nuclear weapons. The premise of A2/AD for China is to develop capabilities that raise the risk of foreign intervention in areas of strategic importance to China, like the Senkaku Islands, Taiwan, or the South China Sea, that are in range of its new missiles. The Pentagon’s 2018 annual report notes that already, “China’s military capabilities out to the first island chain are generally considered A2/AD; and as China expands its power projection capabilities beyond the first island chain into other regions, this concurrently enables expanding A2/AD capabilities out to the second island chain.” The report adds more on the concept, considering A2/AD to apply in regions where China can “develop capabilities to dissuade, deter, or if ordered, defeat third-party intervention during a large-scale, theater campaign such as a Taiwan contingency.” The critical areas where the United States can provide freedom of navigation operations, provide materiel to Southeast Asian nations, and deploy the Navy as a tripwire, are shrinking as China develops more intermediate-range weapons. 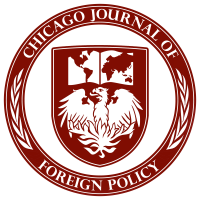 Thus, J. Berkshire Miller at the Japan Institute of International Affairs concludes that “while the Trump administration is publicly pushing its position on the INF as a result of Russian noncompliance with the treaty, China’s vast short-medium range missile stock looms large in the minds of strategic thinkers in the Pentagon.” Withdrawing from the INF, from the perspective of the American defense establishment, gives the American military more latitude in countering China’s area-denial capabilities and keeping a hold on its ability to engage in strategic areas China would prefer to deny the United States’ presence in. Russia, meanwhile, is stuck in a world of threat construction, continuing to perceive threats against a homeland that much of the Western defense world has simply lost interest in. Russia’s military spending – cut by 20% in 2016-17 – is less than a tenth of NATO’s annual expenditures. Europe understands that Russia poses little credible threat to the continent. The Russian military, as the BBC’s Jonathan Marcus points out, “is simply not structured to hold substantial territory, or to generate the forces needed for a prolonged conflict.” It would be a mistake to confuse the threat Russia may pose against tiny Georgia, or against one region of Ukraine, with the ability to fight a protracted offensive against any European state, particularly when invading one would trigger a collective response from a Europe that – even without the United States’ help – outstrips Russia in economic power, manpower, and military spending by multiple factors. If Russia is developing new intermediate-range missiles as a bulwark against Europe or against the United States, it fails to realize that neither actor perceives Russia as a hard power threat nor intends on posing one to Russia. Thus, Russia developing intermediate-range weapons in the name of escalation de-escalation is a grasp at deterrence against a West that has little interest in or fear of a military battle with Russia. Meanwhile, American withdrawal from the treaty could signal the United States’ final determination that a Russian intermediate-range threat is unlikely, and that the United States needs extra flexibility to counter A2/AD against its more threatened, more critical strategic interests in East Asia. Brumfiel, Geoff. “The U.S. And Russia Are Stocking Up On Missiles And Nukes For A Different Kind Of War.” NPR, NPR, 1 Feb. 2019, http://www.npr.org/2019/02/01/690143095/the-u-s-and-russia-are-stocking-up-on-missiles-and-nukes-for-a-different-kind-of. Johnson, Jesse. “China’s Missile Buildup – a Threat to U.S. Bases in Japan – Likely a Key Factor in Trump Plan to Exit INF.” The Japan Times, 22 Oct. 2018, www.japantimes.co.jp/news/2018/10/22/asia-pacific/russia-blamed-china-real-reason-u-s-inf-exit/#.XFfp7lxKg2y. Simon, Luis. “Demystifying the A2/AD Buzz.” War on the Rocks, 4 January 2017. https://warontherocks.com/2017/01/demystifying-the-a2ad-buzz/. “Annual Report to Congress – Military and Security Developments Involving the People’s Republic of China 2018.” The Department of Defense, 16 May 2018. https://media.defense.gov/2018/Aug/16/2001955282/-1/-1/1/2018-CHINA-MILITARY-POWER-REPORT.PDF. Marcus, Jonathan. “How Much of a Threat Does Russia Pose, and to Whom?” BBC News, BBC, 29 June 2017, www.bbc.com/news/world-europe-40428132.